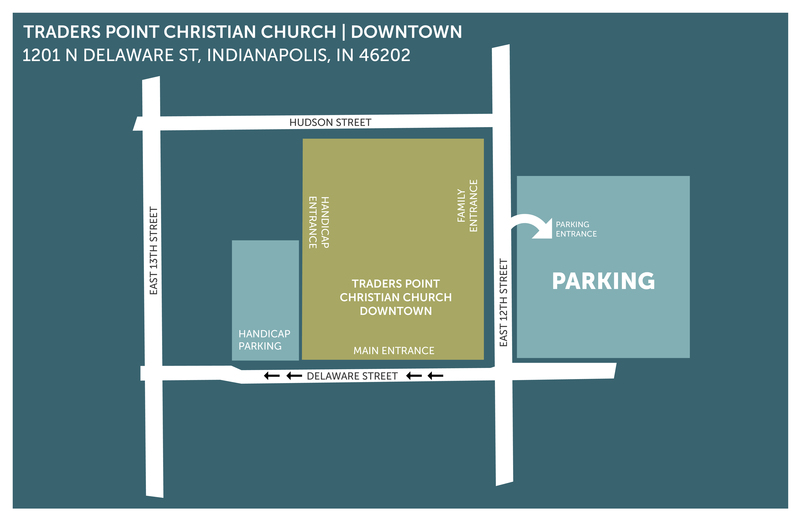 Traders Point is one church gathering in multiple locations around the Indianapolis area to worship, learn more about Jesus and the Bible, and serve our local communities and partners around the world. Service Times: Sunday, 9:30 & 11 a.m. and 4 & 5:30 p.m. 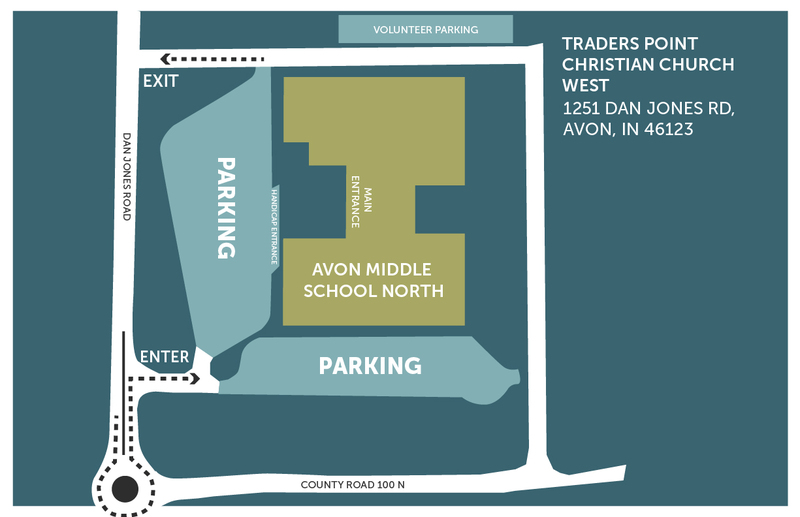 Parking is directly south of the building, underneath the interstate, off of 12th street. 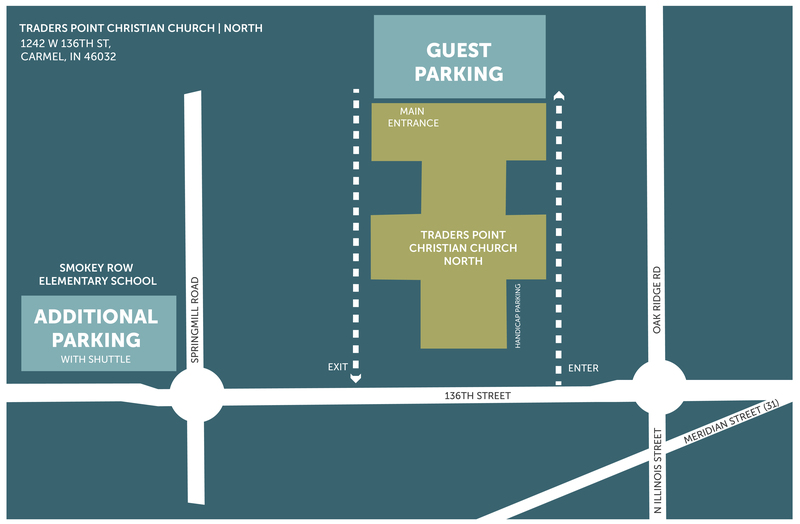 There is free parking available to TPCC, and parking attendants will direct you to a parking spot. Kids Ministry is available for ages birth through grade 6. Special Needs Ministry is also available. When entering through the main entrance of the building, you will find the Kids Ministry Check In towards the left of The Lobby. We have engaging, safe, and age-appropriate ministries for kids and students birth through grade 12. Learn more about our Kids and Student Ministry. Check out Connection Central located in the center of The Lobby. When you arrive, signs and flags will direct you to our parking lot. Service Times: Sunday, 9 & 11 a.m. and 4 & 5:30 p.m. When you arrive, you'll find a team of volunteers to help you find a spot. Follow their direction, and if you can, come 15 minutes early to ensure you find a place to park and have time to check your kids into Kids Ministry. We have engaging, safe, and age-appropriate ministries for kids and students birth through grade 12. Learn more about our Kids and Student Ministry. Service Times: Sunday, 9:30 and 11 a.m. Guest parking is on the west side. When you arrive, signs and parking volunteers will direct you to a parking spot.